Amber Heard makes a grand entrance on the red carpet at the Aquaman world premiere on Monday (November 26) at Leicester Square in London, England. The 32-year-old actress wore a green gown with a plunging neckline along with a matching cap. Amber totally looks like she is bringing her character Mera to life with this epic look on the carpet! 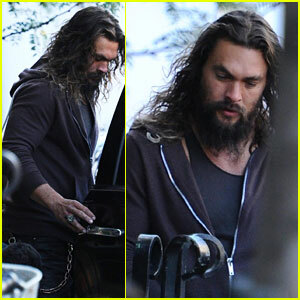 Aquaman, which also stars Jason Momoa, is set to hit theaters on December 21. It was just announced that Julie Andrews secretly voiced a role for the movie. 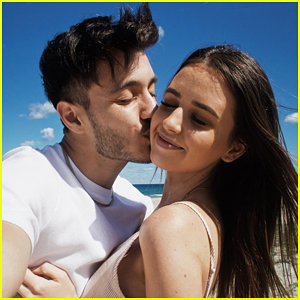 Make sure to see photos of the whole cast at the event! 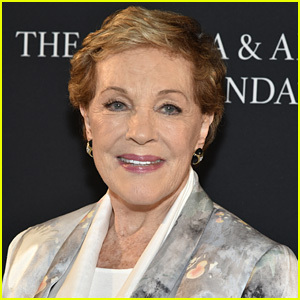 Julie Andrews has a part in Aquaman! The Mary Poppins Hollywood icon will appear in the upcoming superhero film, EW confirmed on Friday (November 23). Julie will voice Karathen, an undersea creature who holds the key to Arthur Curry’s (Jason Momoa) quest to uniting the Atlantean and surface worlds. Interestingly, Disney’s Mary Poppins Returns, the sequel to the 1964 movie starring Julie, also hits theaters in December. 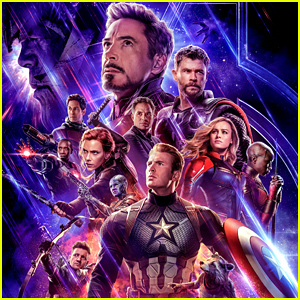 She reportedly did not want to appear in the sequel because she didn’t want to distract from the main star Emily Blunt, but is supportive of the movie. “We wanted the Karathen to have the voice of a classic British actress, albeit somewhat digitally altered. And when we found out Julie was interested and available and excited to do it, casting her was a no-brainer. Who knew that Aquaman would have the real Mary Poppins this Christmas?” said producer Peter Safran. Aquaman is set to be released in theaters on December 21. The final trailer for Aquaman, starring Jason Momoa, has just been released and there’s so much in store for the famed superhero. 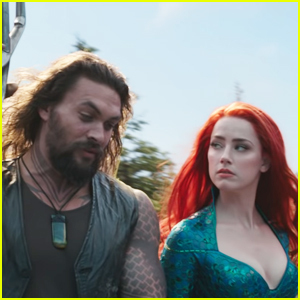 The movie also features characters including Mera (Amber Heard), Vulko (Willem Dafoe), Queen Atlanna (Nicole Kidman), King Orm (Patrick Wilson), and more! Be sure to catch the film, in theaters on December 21. Madame Tussauds Debuts Jason Momoa's Aquaman Wax Figure! Jason Momoa has been immortalized in wax with the help of Madame Tussauds! 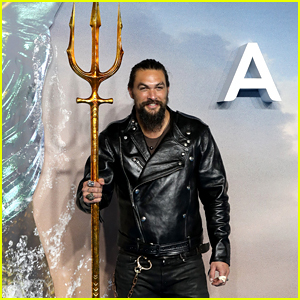 The wax museum just unveiled their new wax figure of the 39-year-old actor dressed in his Aquaman iconic gold and green suit, carrying his trident ahead of the highly-anticipated movie’s release. Aquaman will be added to Madame Tussauds Orlando’s Justice League: A Call for Heroes experience on December 4 joining Wonder Woman, Superman, and Batman. Aquaman hits theaters on December 21 – check out the latest trailer here! Jason Momoa catches a ride with friends while stepping out in the Big Apple. The 39-year-old Game of Thrones actor was spotted out and about on Friday (October 5) in New York City. 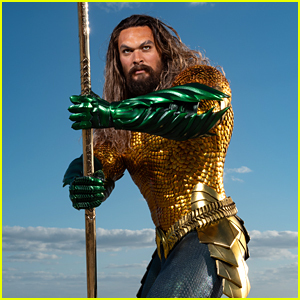 That same day, to coincide with 2018 New York Comic Con, a brand-new image of Jason as Aquaman plus a new extended video of footage from the movie were released.